Bing, the standard in sweet cherry selections, is medium to large in size and dark red to mahogany in color. 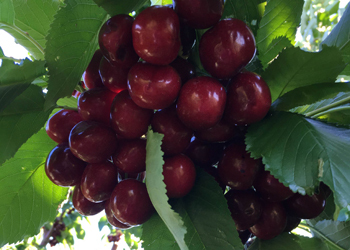 Bing cherries are firm and crunchy with an excellent sweet / acidic flavor. Bing is highly susceptible to rain induced cracking so planting locations must be considered. Pollen Group III (S3S4).